The Park on the Lid, the Mountains to Sound Trail, the Boat Launch and the Greta Hackett Outdoor Sculpture Gallery are all part of Aubrey Davis Park. The City of Mercer Island is leading a master planning process through the fall of 2019 and we need your input! Please help shape the future of this essential community park by participating in the discussion below! Community Open House #2: April 23rd - You're Invited! The results are in from the latest Aubrey Davis Master Plan Community Survey. Take a peek to see how your fellow community members are weighing in on the future of this park. Thank you to everyone who took time to participate and share their feedback! - Join us at the next Open House on April 23rd from 6pm -8pm at the Mercer Island Community & Event Center. Check out design alternatives for the park based on community feedback! - Take the next survey! It will be posted on Let's Talk beginning on April 23, and will remain open through June 7. - Post comments or questions right here on Let's Talk. Aubrey Davis Master Plan Open House February 28! The City's Parks and Recreation Department is leading a master planning process in partnership with the Washington State Department of Transportation (WSDOT) to establish a shared community vision for the future of Aubrey Davis Park. The in-person Open House is scheduled for Thursday, February 28, from 6:00-8:00pm at the Mercer Island Community and Event Center. An online Open House will be taking place from Thursday, February 7 to March 8. Join us from the comfort of your home to take an interactive survey, learn more about opportunities for this park and give us your feedback. We look forward to seeing you in-person on February 28! Welcome to the Aubrey Davis Master Plan Online Open House! Join us from the comfort of your home to take an interactive survey, learn more about opportunities for this park and give us your feedback. This survey will be open from February 7th to March 8th. Thank you for your participation! Looking for additional ways to get involved and give feedback? Make sure to join us for our in-person Open House on February 28th from 6pm - 8pm at the Mercer Island Community & Event Center. The goal of the Aubrey Davis Master Plan Open House is to engage with and receive feedback from as many residents and park users as possible. Unfortunately, the inclement weather would limit our ability to fully engage with the community. The Open House has been rescheduled to February 28 from 6-8pm at the Mercer Island Community & Event Center. An online Open House will be taking place at www.letstalk.mercergov.org/aubreydavis from Thursday, February 7 to March 8. Join us from the comfort of your home to take an interactive survey, learn more about opportunities for this park and give us your feedback. We recently received pedestrian and bike count data from WSDOT for the I-90 trail. The report shows a daily and monthly pedestrian and bike count from 2016-2018, along with an overall monthly average. The report can be found in the Document Library to the right, or simply click here. Review the Document Library to Stay in the Know! Did you know you can find more information on the Aubrey Davis Park Master Plan process in the Document Library section of this page? Check out the Document Library link on the right to see the results of the community survey and to explore information presented and gathered from the September 25th Public Forum: Focused Discussion on Trails. 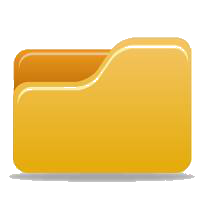 The Document Library will be updated regularly with documents related and pertinent to this project. Check back often and stay in the know! Why are we updating the plan for Aubrey Davis Park? Built in 1992 as part of I-90, Aubrey Davis Park is a 90+ acre, 2.8-mile-long recreation and transportation facility on Mercer Island. In it’s 25-year history (yes, the park is already 25 years old!) it has become a treasured community asset. Given the age of the park, changing park needs, increased use, and the construction of the East Link Light Rail, now is a good time to engage the community in a critical conversation about the future of this park. The City of Mercer Island Parks and Recreation Department is leading a master planning process in partnership with the Washington State Department of Transportation (WSDOT) to establish a shared community vision for the future of Aubrey Davis Park. The success of this planning process depends on you! What do you love about the park? What can be improved? What do the next 25-years look like? The Aubrey Davis Master Plan Process will include an extended community engagement process running until the Fall of 2019. You’ll have the opportunity to participate in community meetings, surveys and more. And if in-person opportunities don’t fit with your schedule, we invite you to please engage with us through this new online forum – Let’s Talk Mercer Island! Please also use the tools on this website to mark places on the map, post a public comment or ask a question. What is the planning process and timeline?